The holiday season is here! 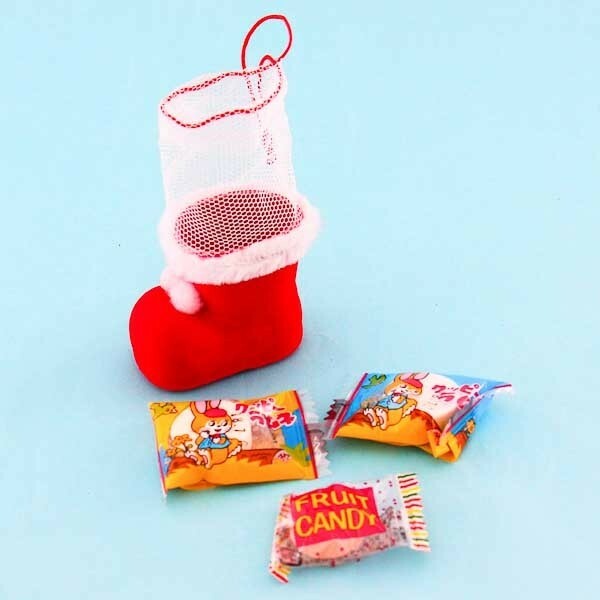 Christmas stocking is an essential part of Christmas and now you can get this adorable small stocking that is filled with yummy candies! There are two different color options available: red and white. Both socks have cute pompom decorations on them and a drawstring closing so it can be closed and you can hang it to anywhere you want to and even reuse it! Wishing you a kawaii X-mas!